Montana’s WIZZERD has a new album coming. Today, Riff Relevant brings you the premiere of their new single “Warrior” off the new record! WIZZERD‘s self-titled, second release propels the listener through a majestic journey into the fantastical hearts and minds of the Kalispell, MT, doom metal four-piece. 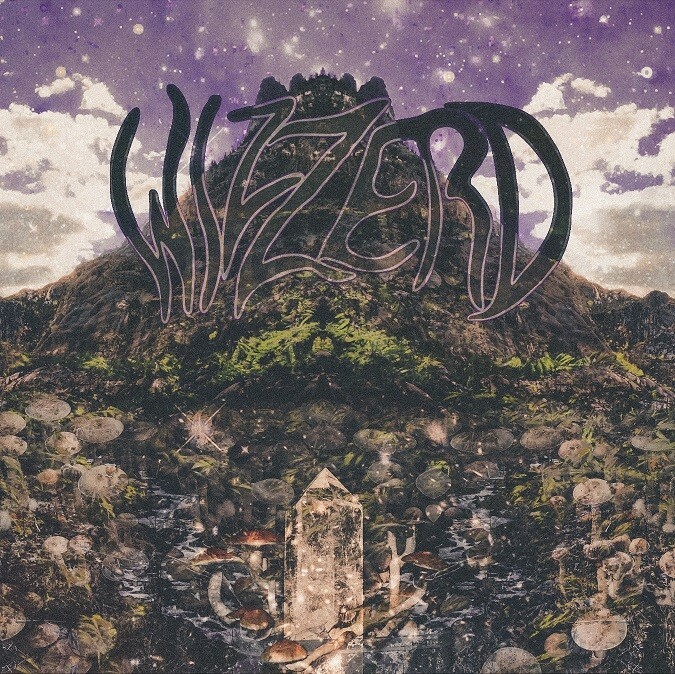 Though at all times forward thinking and sounding, ‘Wizzerd‘ draws heavily from a long heritage of stoner concept albums, borrowing from greats like The Sword and the more experimental epics of Led Zeppelin. The album is a clear step forward for the band, and the genre. Blending the worlds of Dungeons & Dragons and heavy metal, ‘Wizzerd‘ is the tale of four heroes and an immortal spirit — Dragon, Warrior, Wizard, Phoenix, and Wraith — on a quest to save the world from the evil Wizzerd’s plague of doom. Each of the album’s tracks is named after a character in this epic tale, which is apt, as each of the tracks on this record has its own sense of identity. The album itself is an aural journey through triumphant riffs, folksy landscapes, and crushing moments of dread inducing doom. At times, the lyrics and vocals of Dragon (guitars, vocals, & violin) call to mind Dave Wyndorf (Monster Magnet), though that’s not to say Dragon is not at all times unique in his approach. I’m also frequently reminded of guitar greats like Josh Homme (Kyuss), and the dudes from The Sword, both in riffs and licks alike, when listening to the work of Wizard (guitars, mandolin, and vocals). Warrior (bass, cello, vocals) and Phoenix (drums, percussion, and vocals) form an all-star, pummeling rhythm section. And, if you listen closely, you can hear the haunting, ethereal audiomancy of Wraith (synth, organ, and vocals). ‘Wizzerd‘ was recorded and mixed by Wayne Randall and WIZZERD at Black Magick Studios in Kalispell, mastered by THE Tony Reed at his HeavyHead Recording Company, and features album art by Burning Moon. Track five off the new album is “Warrior” and we have the premiere of the song streaming below via Bandcamp. The album is out on CD and digital as of March 29th, 2019 [pre-order here], and will be released June 9th on vinyl via Cursed Tongue Records. WIZZERD will be traveling the West Coast in support of the release of the album starting today. You can find all the info on their tour dates and festival appearances below.